• Ideal for office parties, luncheons and break room use. • Co-ordinates with any table setting. • Heavy- medium weight for rigidity. 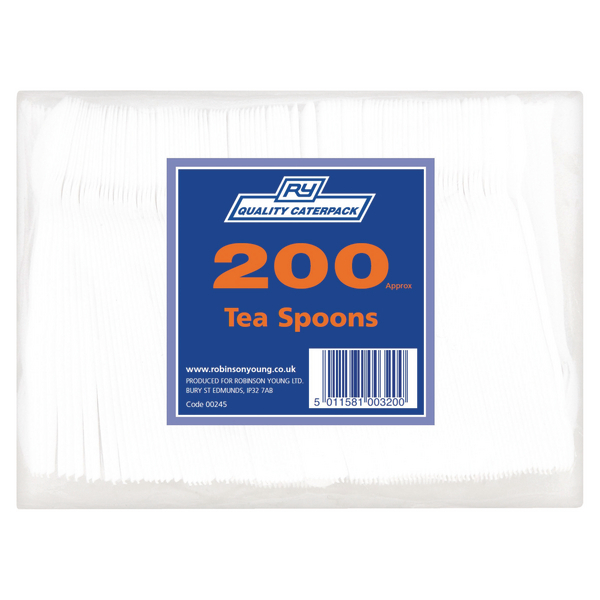 Ideal for catering to large numbers, these white plastic teaspoons are disposable, reducing the amount of washing up needed after a large conference or event. Keep in shared kitchens, canteens and more for easy access when making hot drinks. 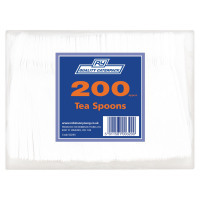 Made from durable plastic, this bulk pack contains 200 teaspoons.